Over the years, The McCarthy Project has seen or worked with hyperbaric tents and systems, altitude training, elevation masks, and virtual reality trainers for the simple purpose of gaining an edge for athletes. After many years of searching, The McCarthy Project believes that adding oxygen and oxygen training (i.e. exercise with oxygen training or EWOT) could be one of those Rosetta stones for athletes. It amazes the mind that you could move all around the idea of oxygen by taking oxygen away, sleeping low, training high and then the opposite (sleeping high, training low) to sleeping in a tent, but the idea of adding oxygen during a 15 minute workout could or would be the answer, but if you take the time to understand the science behind oxygen training, you will uncover that their are major benefits for working with oxygen and the Live O2 system. 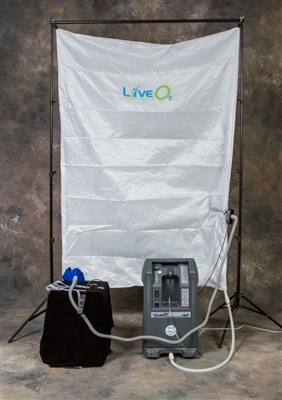 For EWOT/Live O2 training sessions at our location, visit here. Or how you would be able to take your training to the next level by purchasing a system, contact Stephen McCarthy at 612-741-0982 or cs(at)themccarthyproject.com. Dr. Palacios compares his experience with LiveO2 performance to his 15 years of experience with medical hyperbaric treatment. This entry was posted in nutrition, Philosophy, swimming, training programs, triathlon, Wellness on February 17, 2016 by admin.